Inside, trade and retail customers are warmly welcomed and can expect to see a good range of designer and trade paints, wallpaper patterns in the hundreds, and a full selection of decorating-related extras and equipment. 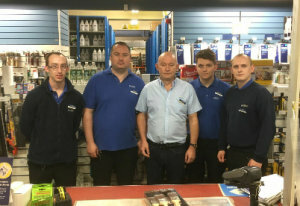 Our team have lots of experience in the industry and are always happy to give you the benefit of their extensive product knowledge, so please don’t hesitate to ask us any questions. That way, we can be sure you leave with exactly the right product for the job. 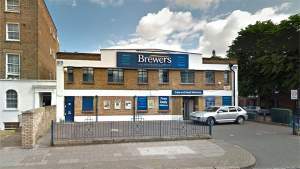 The Brewers Decorator Centre in New Cross is just a couple of minutes’ walk east from Queens Road Peckham railway station, so we’re also referred to as the Peckham Decorator Centre. There’s free customer parking directly outside and our store is wheelchair-friendly. We also offer free daily deliveries locally. From Queens Rd underground station. Past Astbury Rd on your left, Brewers are on the left at the junction with York Grove.